Fourteen years after receiving independence from Britain in 1948, Myanmar was under the ruling of a military regime. What followed is one of the world’s longest ongoing civil wars between the government’s military and the country’s various ethnic groups. 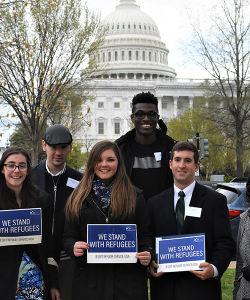 The internal conflict has forced hundreds of thousands of people to flee their homes. While some have left for neighboring countries such as Thailand, many remain displaced inside Myanmar. 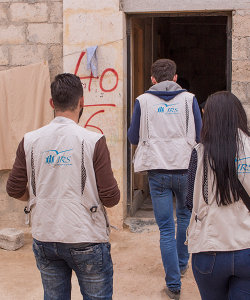 Despite several attempts at ceasefires, the violence continues in some areas. 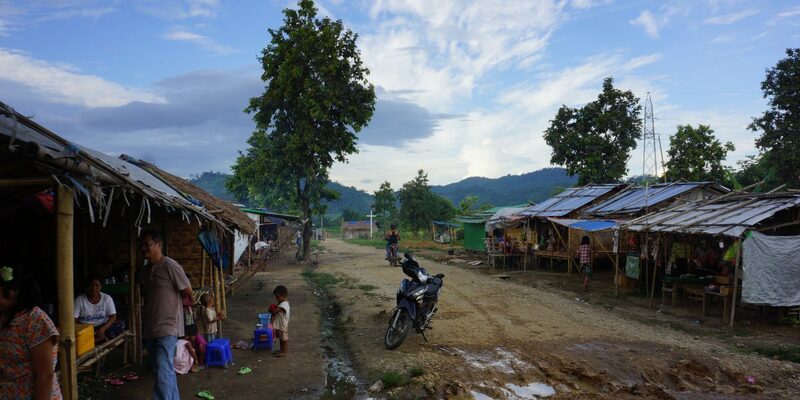 Most recently, the fighting between the government’s army and the Kachin Independence Army (KIA) has caused more than 6,000 internally displaced persons (IDPs) in Kachin State. This is in addition to 100,000 IDPs who were displaced more than seven years ago. Myanmar has also become notorious for its alleged persecution of the Muslim population in Rakhine State, the Rohingya, who have been denied citizenship since 1982. In 2017, more than 600,000 Rohingya fled Myanmar after facing discrimination and violence at the hands of governmental forces. 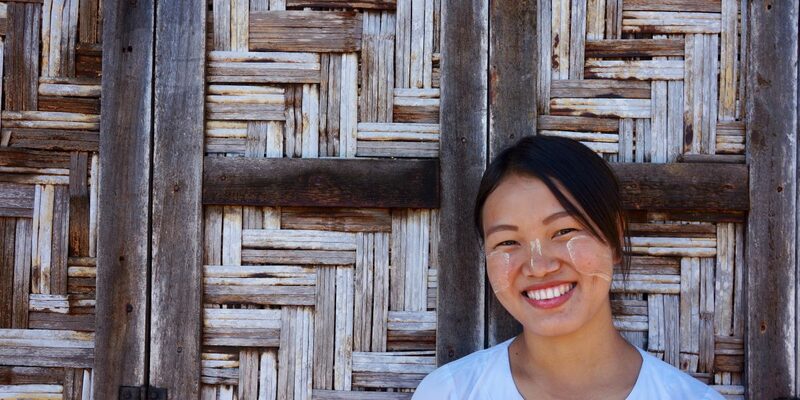 JRS Myanmar has served internally displaced people in the country as well as returning refugees from Thailand. 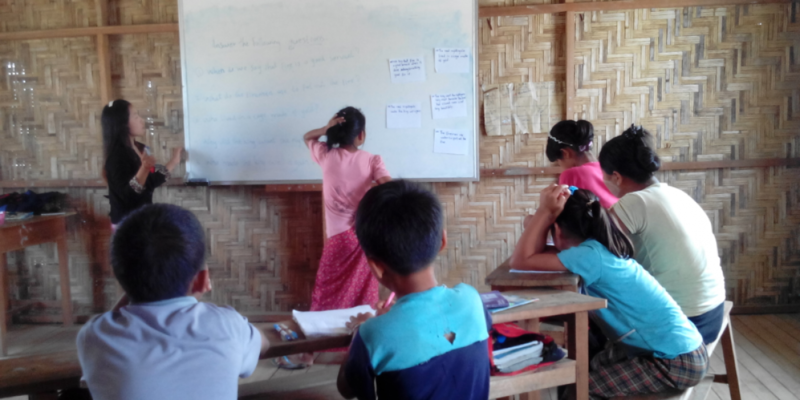 JRS supports the work of local, church-based organizations and other local partner organizations in remote areas where government and international assistance is scarce due to access restriction. 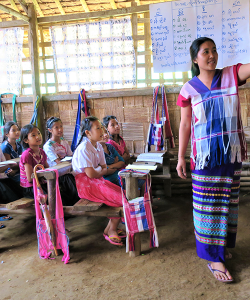 In these areas, JRS Myanmar and the local partner organizations focus on increasing local capacity and education opportunities through teacher training, coaching, and supervision, provision of teaching and learning materials, school renovation, and parental education. In 2017, JRS Myanmar initiated the Peace Education project in Kayah State to promote peaceful coexistence among host communities, IDPs, and returned refugees. Given the emergency situation in Kachin and northern Shan states, JRS Myanmar also contributes to local partners’ efforts in delivering food and non-food items to newly-displaced individuals and others affected by the fighting. As children are among those affected by the displacement, JRS emergency support also covers school facilities and the children’s means of transportation to schools.